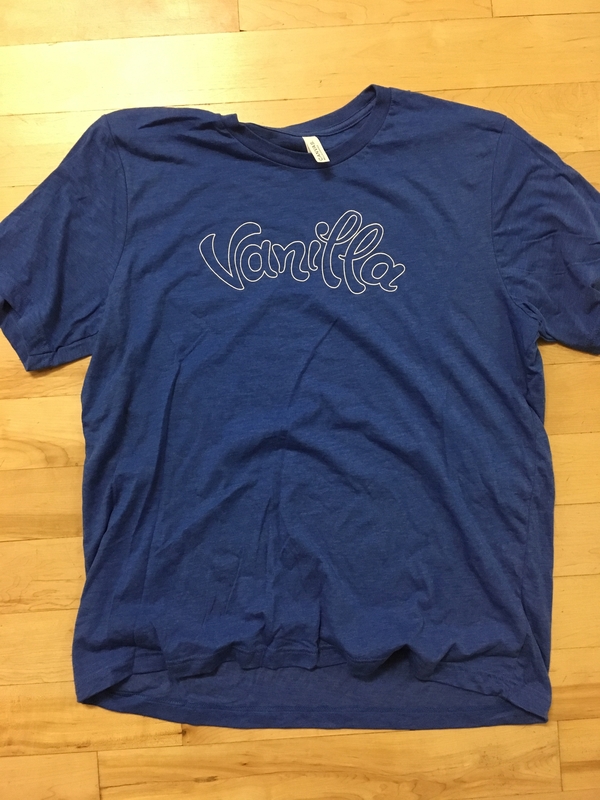 I am taking requests for Vanilla t-shirts! Ends after 10 requests or 48 hours from now, whichever comes first. Claim here only, don't message me please. PICK UP ONLY no later than EXPO 2018. You must name a valid type / size combo from the options below. Blue unisex with white hollow logo (XS - XXL). 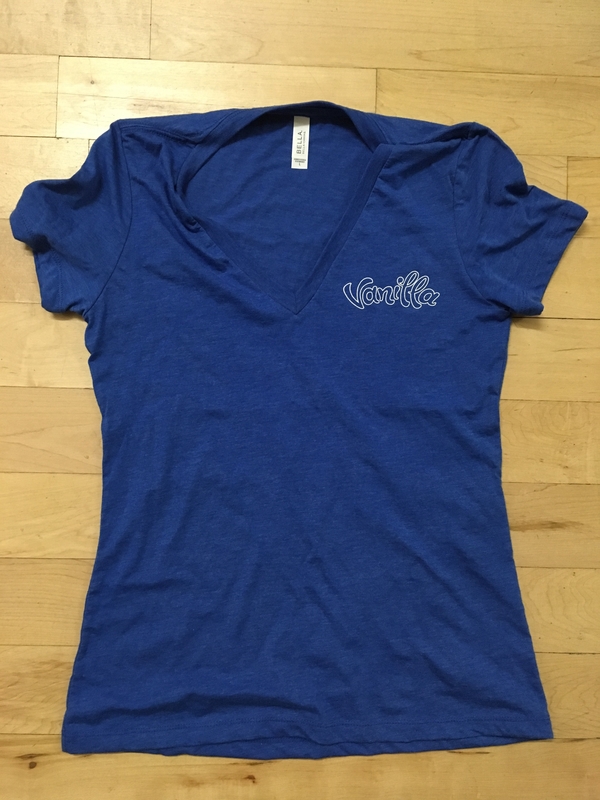 Blue women's v-neck with white hollow logo (S - L). One coworker suggested these run a little small. 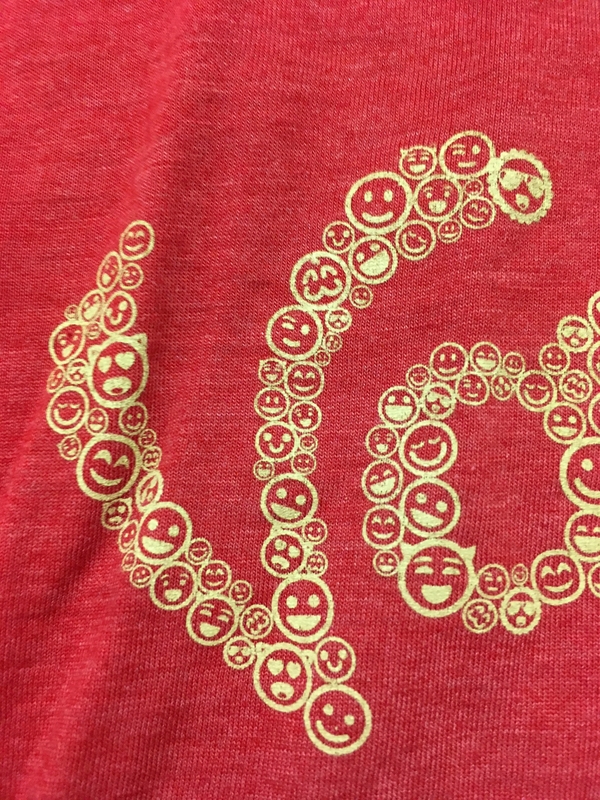 Red unisex with yellow logo made of tiny smiley faces (L or XL only). Going to mention @Gargoyle @pragtastic and @BobbyDigi since I recall seeing them reppin' past swag. 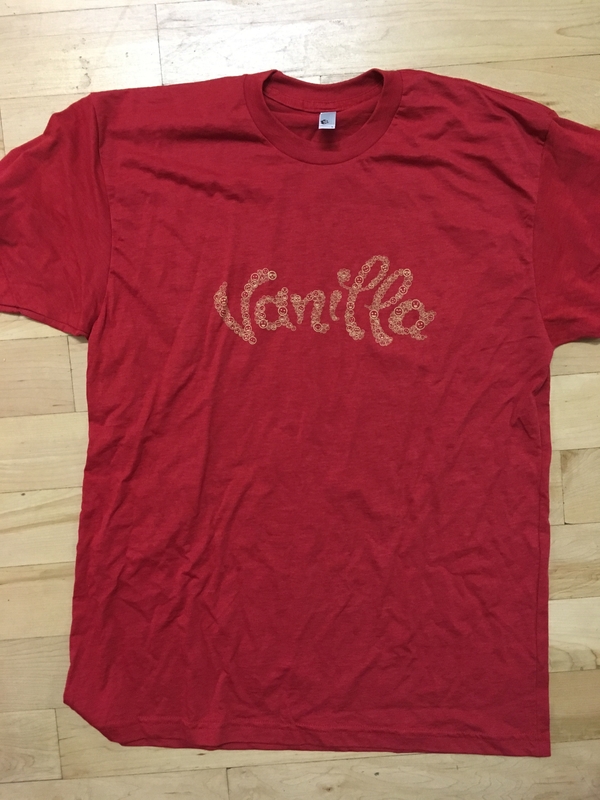 Buncha pasty white dudes wearing Vanilla t-shirts? Count me in! ...but don't because we all know I'm not coming there to pick it up. Blue Unisex XL. I'll wear it around Europe! Blue unisex XXL, plox. Mebbe I ken git some of my feller IT folks innerested in that thar Vaniller. Red large please! Blue is also cool if reds are spoken for. Thanks! That's 10, but I'd accept 2 more. I'll go for a blue Uni XXL, then. Danke! Time's up! Pile o' swag is locked in. 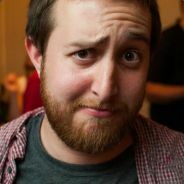 I mean if you'd just texted me... That was just when I stopped checking the thread for the night. I'll be headed back to Montreal in November, I assume, so feel free to leave requests here in the meantime and I'll see what I can do. Yay! I'll try and make some time to stop by the house some time next week. oooo @Linc the stitching on mine is coming apart pretty significantly. Can I get another? Happy to throw some bucks somewhere to replace it since I'm not sure how it happened so quickly. Item Get! -> Add to Bag of Holding. You snuck in at the last possible moment, but your item has been acquired. I've amended the OP to reflect that "Red, M" is no longer a combo available.